Wash the rice and pressure cook with 2 ½ cups of water. Let the pressure leaves and mash the rice using ladle. Then heat a milk and add the hot milk to rice.Also add the butter now itself, so it melts in the heat. Just give a quick blend and let it cool completely. Then add curd and salt to it.Mix well. It will become creamy in texture. Now add the chopped raw mango, cucumber,carrot, cashews and coriander leaves. Blend well. Then temper with the items given under “to temper”. 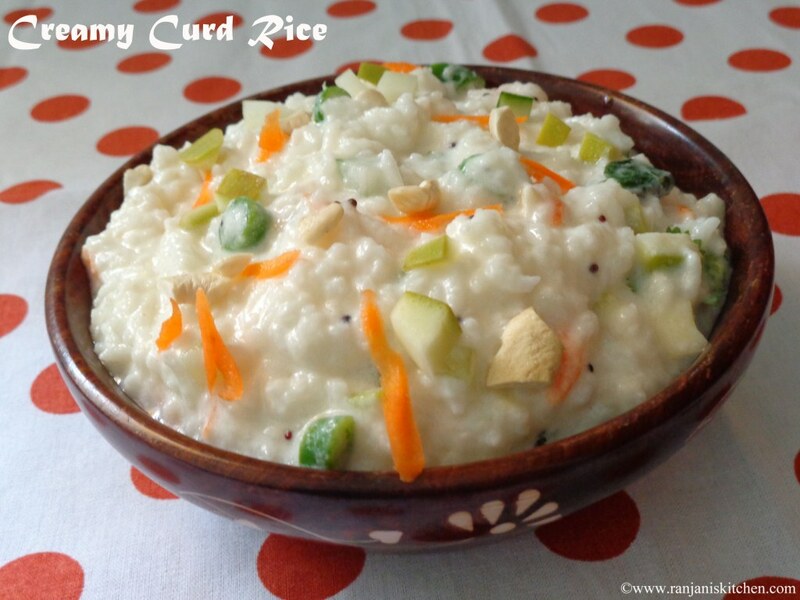 Add this seasoning to curd rice and mix well. 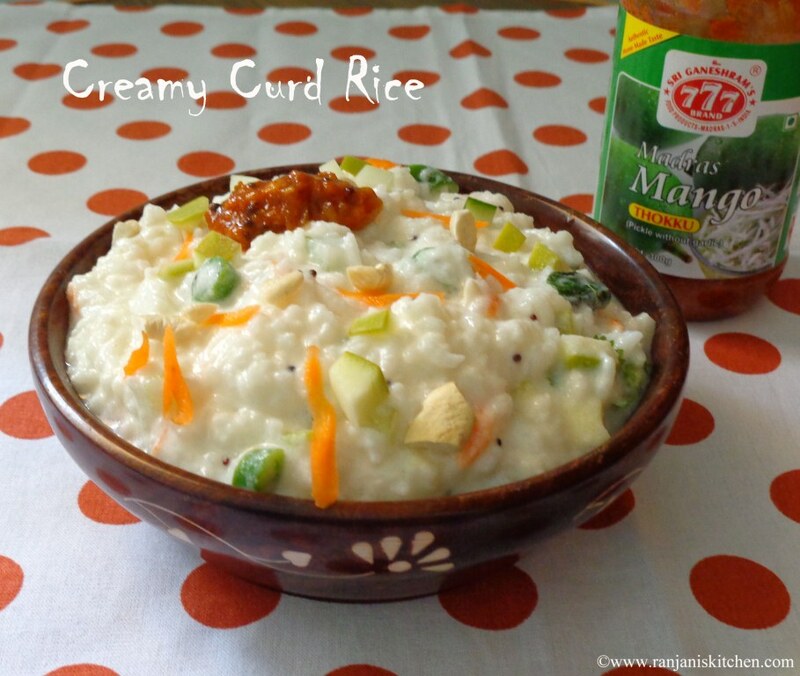 Serve this creamy curd rice with the accompaniment of any of your favourite pickle. 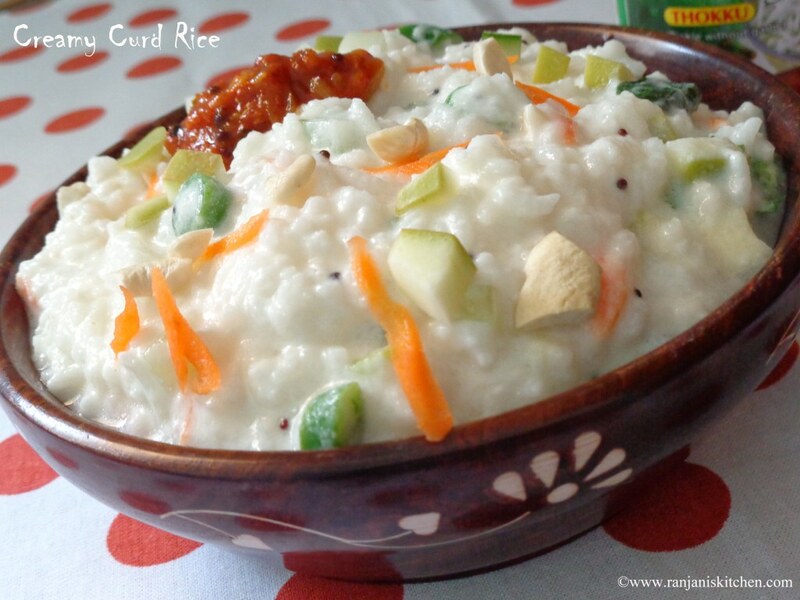 Add little more water than usual to cook rice .For curd rice , rice should be little mashy. Adding butter is optional. But it tastes good if you add. Also adding cashews is your choice.If you add it will look rich textured. You can also add a pinch of asafoetida and small piece of grated ginger while seasoning. It will enhance the flavor. Thanks a lot Zareen 🙂 Try and let me know the outcome..